A common problem with the AODE and 4R70 and 4R75 W and E series transmissions is leakage and structural failure of the extension housing. 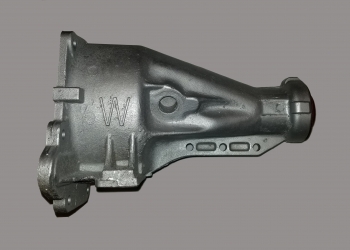 Picture is representative of the product, so the picture may look different than the housing on your vehicle. Please include the model and year info with your order. It is always helpful if we can get the VIN number from the vheicle to insure exact fitment.